4 colors packelfor Glue-All White Glue is the right glue for all your needs. This all-purpose glue can be used for all kinds of projects for the kids and for grown-up light home repairs around the house. It works on many different materials including paper and other porous materials. Kids can use it for arts and crafts or school assignments, and you can use it around the house in a variety of ways. 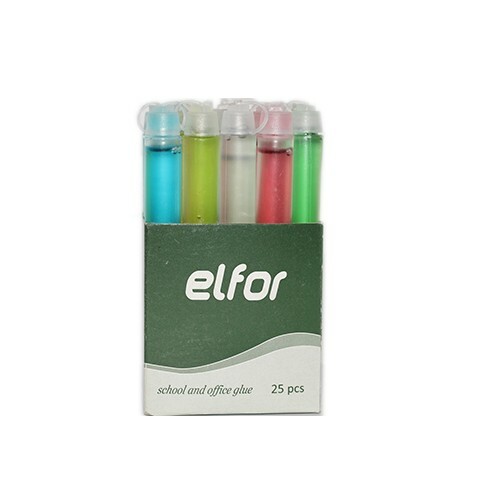 elfor glue 25 pcs 4 colors pack for school and office elfor Glue-All White Glue is the right glue for all your needs. This all-purpose glue can be used for all kinds of projects for the kids and for grown-up light home repairs around the house. It works on many different materials including paper and other porous materials. Kids can use it for arts and crafts or school assignments, and you can use it around the house in a variety of ways.